US denim giant Levi Strauss & Co. on Tuesday reported a stellar start to 2018, witnessing a revenue increase of 22% globally, on the back of Levi's brand growth in all regions and channels. "The momentum and growth trends we saw in the back half of last year not only continued but accelerated in the first quarter," said Chip Bergh, president and chief executive officer, Levi Strauss & Co, in a press release. The denim purveyor said net revenues for the first quarter grew 22 percent to $1.34 billion on a reported basis, and 16 percent excluding $55 million in favorable currency translation effects. 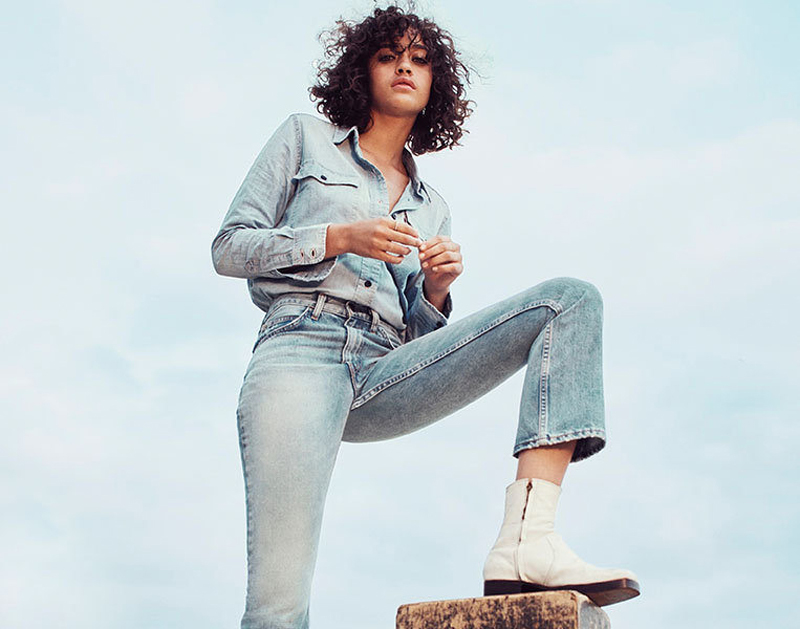 By sales segment, Levi's direct-to-consumer revenues grew 24 percent on performance and expansion of the retail network, as well as via e-commerce growth. The company said that it had 56 more company-operated stores at the end of the first quarter 2018 than it did a year prior. For the quarter ended February 25, wholesale reported revenues grew 21 percent primarily reflecting higher revenues from Europe and the Americas. On the back of heavy investment and changes to the tax code, which resulted in a $136 million charge and weighed on Levi's bottom line, the company reported net losses for the quarter of $19 million, down from profits a year earlier of $60.1 million. Excluding the non-cash charge, the firm’s profits nearly doubled to $117 million. In the Americas, net revenues grew 13 percent on the back of growth across wholesale and direct-to-consumer channels in all markets, including a particularly strong holiday season in the United States. In Europe, revenues surged 30 percent reflecting "growth across all markets, channels, and product categories," with the strongest growth in women's and tops. Meanwhile, in Asia, revenues grew 5 percent, again driven by direct-to-consumer sales. "Our results clearly demonstrate that our strategies are working and that the incremental investments we are making in marketing, direct-to-consumer expansion and our more diversified portfolio are paying off," concluded Bergh. The San Francisco-based company also raised full-year 2018 revenue growth guidance to 6 to 8 percent range in constant currency. Levi's Strauss Inc. operates the brands Levi's, Dockers and Denizen across 2,900 retail stores and shop-in-shops globally. The US firm reported 2017 net revenues of $4.9 billion.